Would you like to take a walk in the oldest streets of the Old Town and learn some interesting facts? This unique tour will acquaint you with the legends and most fascinating sites of the cobblestoned streets and back alleys of the pedestrian zone. You will see the nicest areas of the Old Town of Bratislava – you will see the Main Square, with the Old Town Hall rising from a corner of the Main Square; Roland Fountain, the oldest fountain in the city; St. Martin's Cathedral, the coronation Cathedral of Hungarian Kings; Church; St. Michael's Gate, the last well-preserved town gate; Venturska Street, site of the rich musical life of the city; many palaces from the time of Empress Maria Theresa; the beautiful Slovak National Theatre and Slovak Philharmonic; Primate's Palace; and many other remarkable sites. Galleries, museums, churches, etc., can be visited during the tour. St. Martin's Cathedral – where 11 Hungarian kings, including Maria Theresa, and 8 of their spouses were crowned. The Primate's Palace – contains the Hall of Mirrors and a collection of historic tapestries that tell the mythic, tragic love story of Hero and Leander. A panoramic view from the UFO restaurant a top the New Bridge – from the New Bridge over the Danube river, see the Old Town, Castle, and surroundings. Interested in history? Excellent! These impressive ruins have amazing surroundings, rich history and are easily reachable from the city center by minivan/bus or speedboat. Sightseeing cruises on the river Danube give you the opportunity to enjoy the panorama of Bratislava right from the deck of our speedboats. 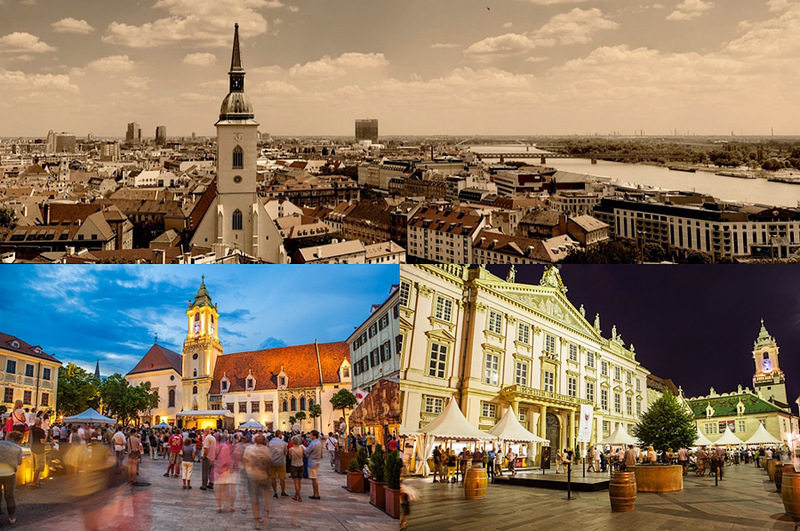 Enjoy a great Bratislava boat trip and sail through historical and modern parts of Bratislava riverbank. 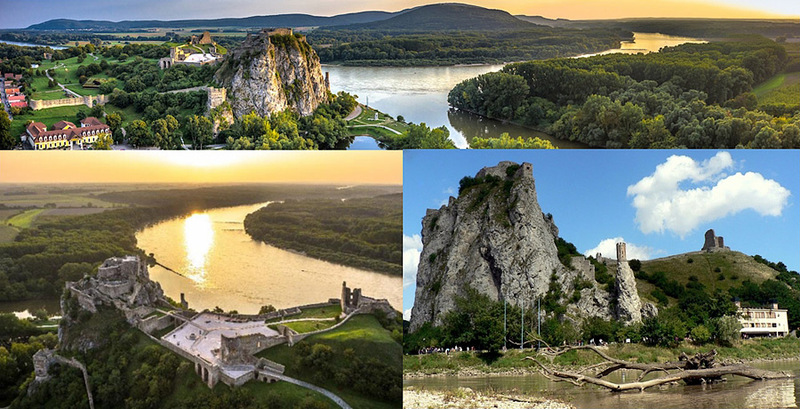 During this voyage you’ll see the beautiful panoramic view of Bratislava and its historical and modern part you’ll sail alongside an immense cliff on which sits the ruins of the Devin castle studded with many famous legends. You’ll sail along the confluence of the river Danube and Morava. You’ll see the border between Slovakia and Austria. 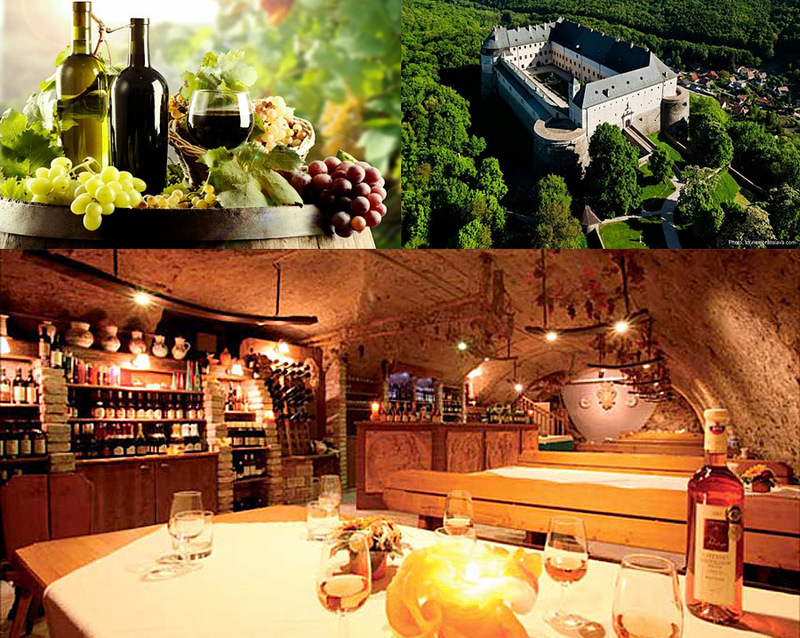 After the castle tour, your next stop will be the cozy local wine tavern, situated just few minutes walking from the castle, where you will experience traditional taste of currant wine, so typical for this location. Is modern art your cup of tea? You are lucky person! 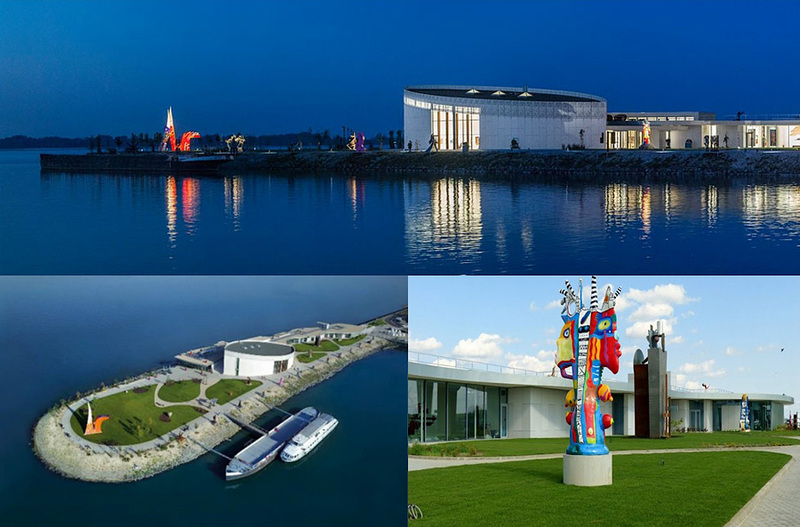 Less than 15 kilometres south of the centre of Bratislava, on the edge of a peninsula where the mighty Danube flows, stands one of the youngest museums of modern art in Europe – Danubiana. 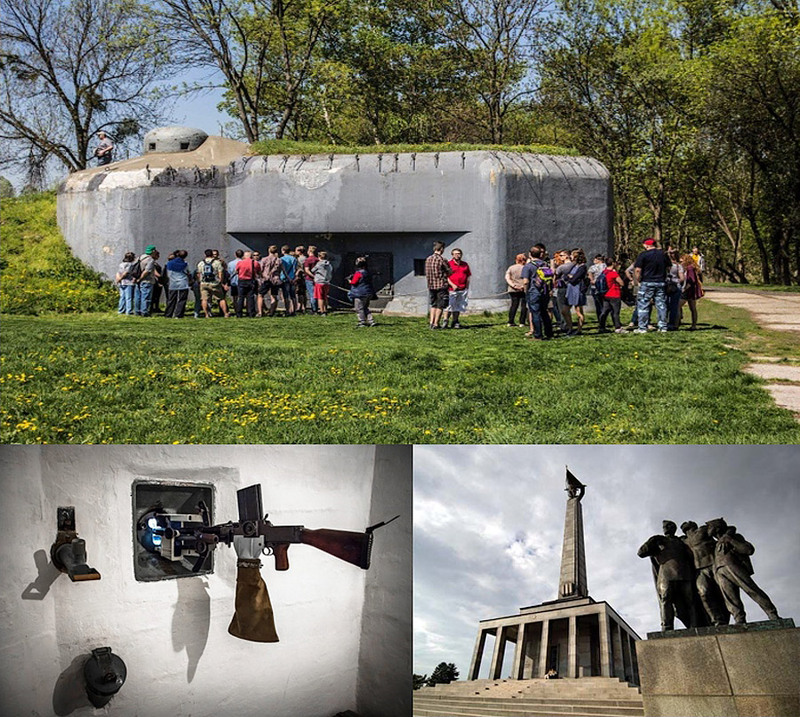 At first you will be taken to the suburbs of Bratislava, near Slovak and Austrian borders, which is a home of majestic bunkers, part of huge Czechoslovac fortification system. Interior comprises original parts of the bunkers accessories and devices, including weapons, special weapon systems, fortress turrets, and other interesting military material. This authentic Museum of pre-war Czechoslovac Republic and its masterpiece fortification system built three years before a foot of Adolf Hitler stand on Czechoslovac grounds and began the second World War. The Czechoslovak fortification Museum was opened in 2011. The aim of the Museum is to educate visitors in the fortification subject, our pre-war history, and the situation before the Second World War. Later, you will visit the Soviet World War II memorial Slavin and you can observe wonderful panoramic view of Bratislava at the same time.